Rebecca started her career in Atlanta in 1998 and has over 17 years’ experience providing tax services for global and domestic companies. In 2011 she was named Managing Director and Southeast Regional Leader for Tax Accounting Services for a Big 4 accounting firm. With her role, she worked with client service teams in addressing complex income tax accounting matters; developed and delivered extensive ASC 740 training both internally and externally; and consulted with companies on compliance and monitoring of internal controls in accordance with 404. 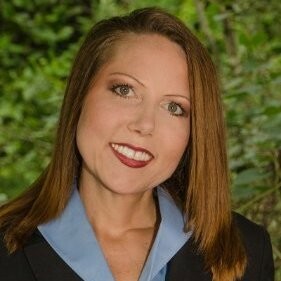 Rebecca is the founder and Managing Director of Accountable Talent, LLC. Accountable Talent is a professional services firm that provides project based consulting and professional training services in the areas of tax and accounting. About Us: Accountable Talent, LLC is a professional services firm headquartered in Atlanta, Georgia that specializes in project based consulting and technical training. Our experience and focus is working with organizations and individuals in the areas of tax, accounting and finance. Our mission is to serve companies, professional service firms and individuals by providing a platform that enables today's talent to be better prepared for tomorrow's opportunities. ARE YOU ACCOUNTING FOR INCOME TAXES?